As a Brexit deal hangs in the balance in the UK, TBI revisits what the TV industry has to consider in a handy breakdown. Andy McDonald reports. As the UK inches ever closer to its European Union departure date, there is still a huge amount of uncertainty over how Brexit will affect the audio-visual sector. While the UK’s booming and globally-facing production industry should arguably not see a slowdown in business, any restriction on movement could disrupt, delay or even derail future productions. EU funding via a slew of grants and schemes will also likely evaporate. For broadcasters, there are also major issues around future licensing arrangements. Currently, companies can base themselves in the UK and broadcast into any EU member state. This will no longer be the case post-Brexit and countries like the Netherlands and Estonia are already jostling to capitalise on the lack of clarity over how the UK will adapt to this. Here, TBI unpicks some of the most pressing issues facing the sector. The production community is in some ways fairly protected from the potential fallout of Brexit, thanks in large part to the European Convention on Transfrontier Television (CTT), which was agreed in 1989 and predates the formation of the European Union. As a member of the Council of Europe, the UK is a signatory of the CTT, meaning that UK productions contribute to EU ‘European Works’ quotas. The UK government’s July White Paper on the country’s future relationship with the EU confirmed that this will not be affected by the UK’s withdrawal from the EU. According to Pact’s own research, UK television content sales came to around £902 million in 2016/17, with the US, Australia and France the biggest buyers. The organisation’s view is that provided the CTT status quo is maintained, the UK production community has nothing to be worried about in the medium term as far as sales to Europe are concerned. Setting out the high-level issues surrounding Brexit in a speech last October, Ofcom chief executive Sharon White estimated that “up to 40% of people working in the UK’s creative industries may be EU nationals with no UK citizenship”. She said these employees need certainty in the face of Brexit, and she is not the only one to hold this view. Speaking to TBI, Commercial Broadcasters Association (CoBA) executive director, Adam Minns, says that access to talent is “the biggest issue for production as a result of Brexit” – an issue that cuts both ways for the UK and EU. The ability for UK productions to use EU talent, and vice versa, while also being able to move around the content, are key. “It’s a particularly acute issue for production, because they need to crew-up so quickly,” says Minns. At the Creative Industries Federation, deputy head of policy and public affairs, Sam Young, agrees that that the enterprises it represents have “real concerns” about keeping the talent that’s already in the UK and about accessing the skills they need in the future. “The movement of talent issue is, for Federation members, the number one issue,” he says. McVay at Pact agrees with White, saying that EU citizens working for British companies, who have built lives in the UK, deserve some clarity and security about their future. This is true for people throughout the entire audio-visual sector – including the visual effects industry. According to research released last year by the UK Screen Alliance, VFX has a concentration of overseas workers in creative and operational roles, with just 57% of the sector’s workers originating from the UK. European grant money is an important factor for the production community. A report released by the British Film Institute (BFI) earlier this year stated that the UK screen sector has received £298.4 million in EU funding over the last decade. This has funded 1,766 projects across every nation and region of the UK. The Creative Europe programme and its predecessor MEDIA – which support cultural, creative and audiovisual projects – were found to have invested £120.3 million in the UK. Designed to aid European works from development to distribution, this investment helped to bring UK films like Paddington 2 to EU audiences. It also supported UK animation studio Aardman in developing its Shaun the Sheep character into a long-running TV series. Other funding programmes highlighted by the BFI are: The European Regional Development Fund (ERDF), which aims to redress economic and social imbalances between different EU regions and has invested £79.6m in screen-related projects; research and innovation fund Horizon 2020 and its predecessor FP7, which have invested £71.5m in the sector; as well as education programme Erasmus+ and the European Social Fund (ESF), which supports employment. Screen Yorkshire used £14.2m of ERDF money to deliver the Yorkshire Content Fund between 2012 and 2016. This fund supported 37 film and high-end TV productions across the region – including Peaky Blinders and Jonathan Strange & Mr Norrell – and helped bring an additional £143m of funding into the region from other private and public sources. The UK government said in its July White Paper that it is open to exploring its continued involvement in Creative Europe and the successor to the Erasmus+ scheme, which the UK will remain a part of until it ends in 2020. It has also pledged to develop a Shared Prosperity Fund in the UK to reduce inequalities and help spark a new wave of regeneration in the country’s towns and cities post-Brexit. While this seems positive, the BFI has warned that it is “extremely unlikely” that EU structural funds will be available to the UK post-Brexit, and urged the UK to develop alternatives that preserve as many of their benefits as possible to the EU schemes it will no longer be able to participate in. One of the most pressing concerns facing the UK broadcasting sector relates to the country-of-origin principle, as set out in the EU’s Audiovisual Media Services Directive (AVMSD). This says that a broadcaster only has to obtain a licence and observe regulatory standards in any one EU member state in order to be able to offer its services in the others. Brexit will put the UK outside of these rules and it is still unclear what solution will be provided to the many broadcasters that are currently licensed here. According to European Audiovisual Observatory’s recent Brexit report, 1,203 of the EU’s 3,005 TV channels were based in the UK at the end of last year. Of these UK-based stations, 514 of them (43%) primarily targeted another country. Meanwhile, 189 on-demand services were established in the UK, 51% of which mainly targeted another country. 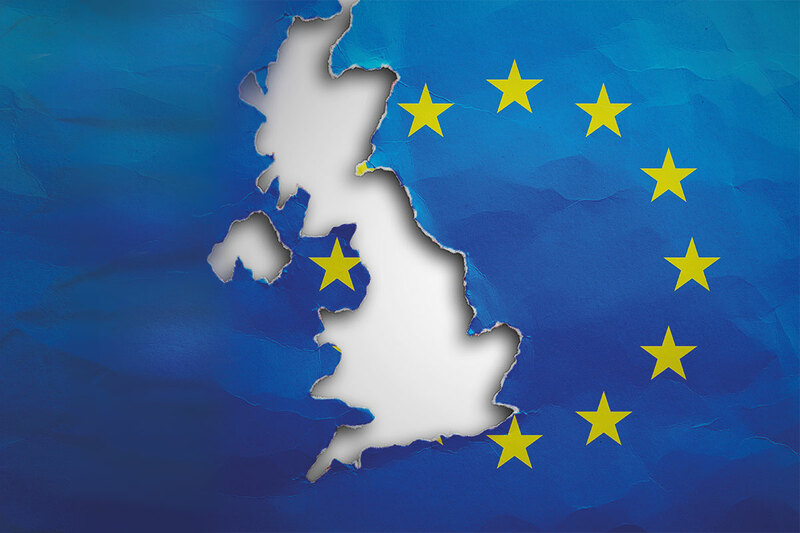 Since the outcome of the EU referendum vote, CoBA has been calling for clarity on whether there will be a post-Brexit transition period that will retain the status quo for broadcasters licensed in the UK. Minns says that the organisation is working with the government to try and get the best possible access and arrangements for the sector but admits there is a “very high level of uncertainty about what those arrangements will eventually look like”. CoBA estimates that the aggregated value to the UK economy of international channels broadcasting outside the country was £1.02bn in 2017, having grown by more than 50% in the preceding five years. Young at the Creative Industries Federation argues that, if anything, the government’s position on country-of-origin has become vaguer over time. He points out that Theresa May’s Mansion House Brexit speech in March addressed the issue by saying that the UK should “explore creative options with an open mind, including mutual recognition which would allow for continued transfrontier broadcasting”. By July, and the government’s white paper simply said that country of origin will no longer apply after Brexit and “the UK is seeking the best possible arrangements for this sector”. Ofcom chief Sharon White has called for freedom of transmission and reception to endure between the UK and the EU after Brexit. In her October 2017 speech in Brussels she said that “several major UK-based broadcasters have stressed the importance of this issue,” and warned that some of them were already “making contingency plans to move their editorial functions”. The likelihood that broadcasters will make arrangements outside the UK seems to grow larger as time marches on. Minns at CoBA, an organisation that represents companies such as Discovery Networks, Sky and NBCUniversal, says that companies will need a “bare minimum” of three months to get a license elsewhere. He claims that some companies have “already activated contingency plans,” though won’t go into detail. “As a general rule, a company that’s already got a significant operation in an appropriate market will look at using that as their ongoing base. Other companies don’t have any significant operations within other EU countries, so they’ve got a more challenging situation,” says Minns, predicting a “mixed picture” of disruption. Various countries have been keen to highlight the benefits that they can provide to TV companies looking for a new European base. According to AVMSD rules, a broadcaster will only be deemed to be established in an EU member state if they make editorial decisions there and have a “significant part” of their workforce in the EU. UK-based media consultancy, Expert Media Partners, put out a report this summer listing the top five jurisdictions for broadcasting in the EU, based on factors like regulatory environment, ease of doing business, creative infrastructure and quality of life. Targeting TV companies facing “challenging decisions” about where, when or if to re-license, the company’s top UK alternatives, ranked first to fifth, were Ireland, the Netherlands, Luxembourg, Malta and Estonia. The NFIA lists Dutch digital infrastructure, quality of life and work-life balance, along with a strong broadcast industry as part of its pitch and points out that international media companies like Netflix, CBS and Viacom already have had their European bases there. In Estonia, Martti Kinkar, media services development manager of Levira, says that the company has held talks with broadcasters from the UK, the US and Central to Eastern Europe that currently hold Ofcom licenses. 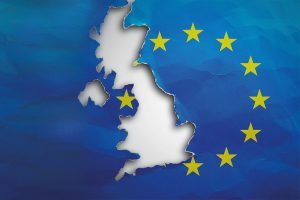 The digital services provider ran a roadshow in London in March specifically to court international TV broadcasters looking to acquire operating licences for the EU market once Brexit takes effect. At CoBA, Minns claims that there is no single obvious alternative to the UK, which offers a package of creative and technical skills, broadcasting infrastructure, airport links, and the English language. He predicts “a lot of fragmentation” will occur, but says that another EU state is unlikely to see a large windfall as a result of Brexit – partly because TV production is not related to licensing and it doesn’t follow that production will increase as a result.